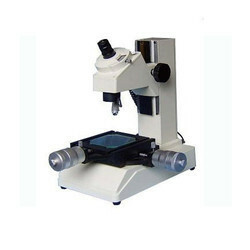 Our range of products include tool maker microscope ntm, ntm505d tool maker microscope with digital head, 3d depth measuring microscope and ntm505m tool maker microscope. Eyepiece Protector 0-360 Degree with adjustable vernier of least count 6 mins. 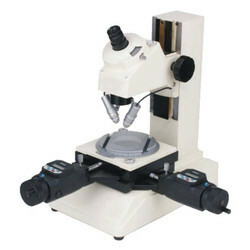 This offered NTM505D Tool Maker Microscope With Digital Head is highly durable and delivered to the clients in prescribed time frame. 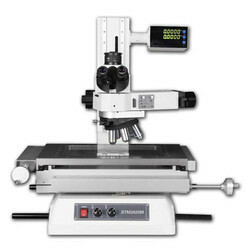 Due to the proficiency of our team in this dominion, we provide for our customers, 3D Depth Measuring Microscope. Bright field observation, clear and flare less obverse image, wide field of view. Long working distance objectives, up to optical 1000x magnification Aperture diaphragms in the transmitted illumination and reflected illumination system as standard feature. The quick-release system, which is especially useful in long-stroke measurements. 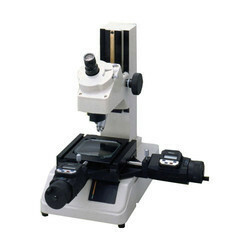 Looking for Tool Maker Microscope ?